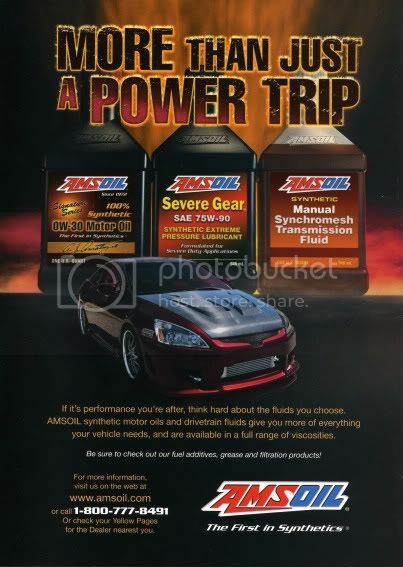 Congratulations to Sunny's Suravarapu's Honda "Twin-Turbo" V6 Accord for being sponsored and selected by AMSOIL to appear in their various import magazine advertisements. AMSOIL "The First in Synthetics" and Team Hybrid "The First in Being the Best Overall." A win/win relationship. Hybrid cars continue to be industry selected, respected and approved to help sell their products and gain a greater share of the market.